then makes a great carry all for the beach! 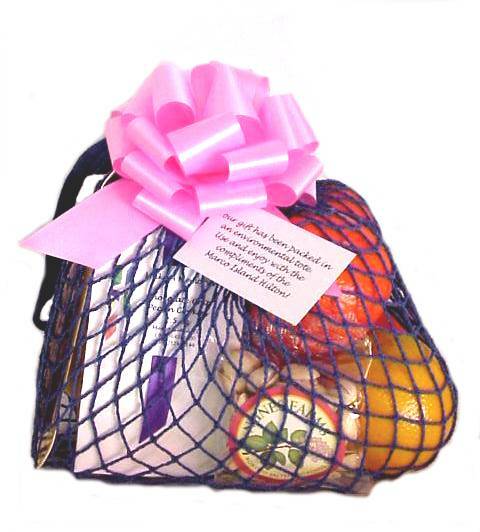 Gift shown is filled with six to seven pieces of fruit, cookies, nuts and chocolates. the compliments of (Your Company)!